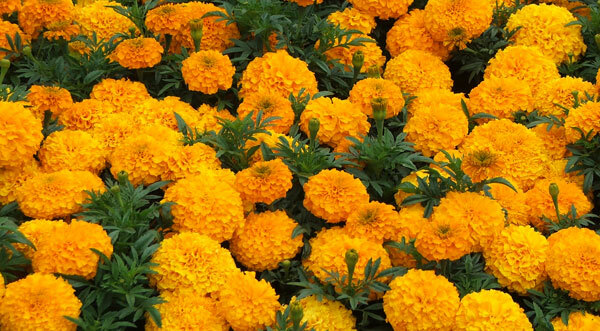 When I was in my early stylish phase marigolds would have been lucky to have made it onto my list of favourite annuals. But I was ever so much younger then! And over-influenced by tasteful garden writers who took themselves very seriously. Now I grow fancy-looking hybrids from seed each year. There's a place for bright flowers in my garden, and not just on a dull day. Marigolds do have their down side, though. They do smell rather peculiar. But they're such easy annuals in my garden - I can keep my nose clear of them if that worries me! 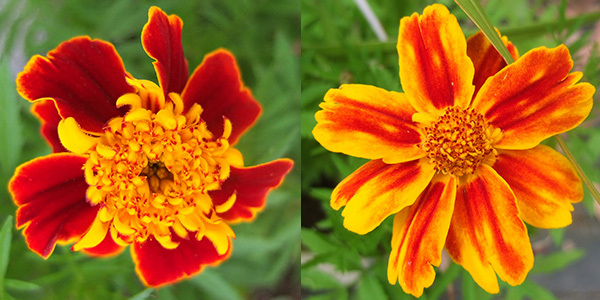 There's no point in a Marigold trying to be subtle. Lets just stick with the brash and bright oranges, shall we? The much acclaimed 'French Vanilla' variety (a dull cream colour) just looks boring.